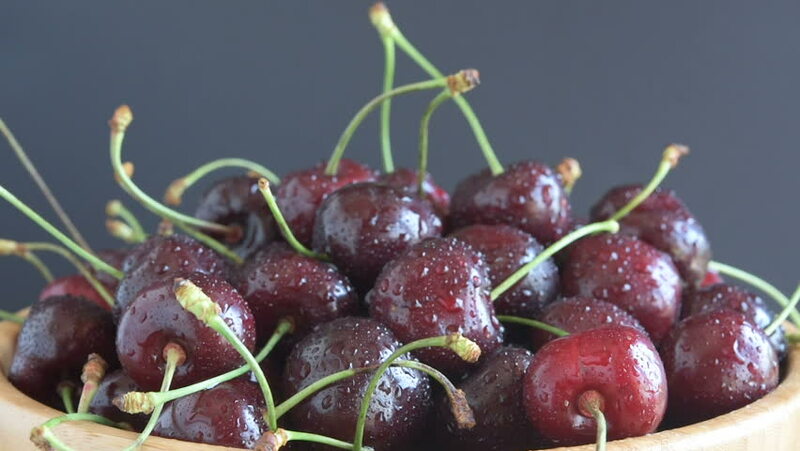 A Group of Ripe Dark Red Cherries in a wooden Plate. 4k00:21Close up shot of ripe red cherries rotating on white background in studio. 4k UHD Ultra HD footage.